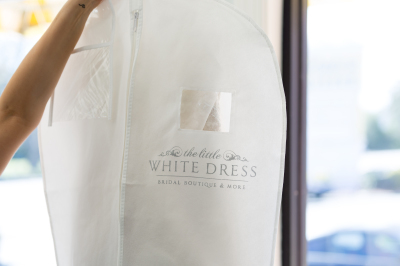 The Little White Dress is a custom order boutique. We also have a large selection of sample gowns available for purchace off the rack. The ideal time to buy your dress is 7-12 months before your wedding and our sample gowns are perfect for short lead wedding dates. 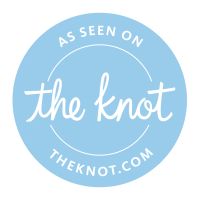 We are a small, local business and intentionally only see one - two brides at a time to provide our focused attention and styling to each bride. 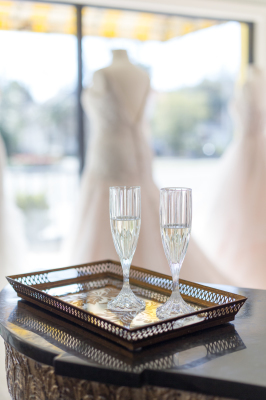 Our collections are unique and hand-picked catering to all brides!